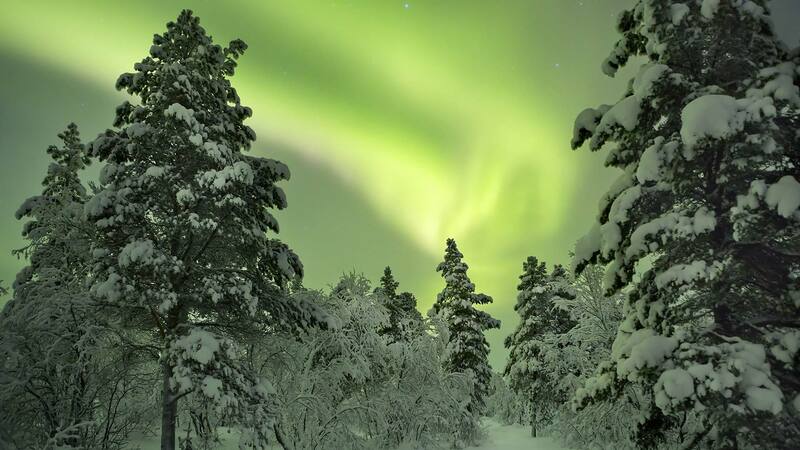 This short winter break in Swedish Lapland is fun for all ages! Get in the holiday spirit with a visit to Santa Claus at his forest cabin and enjoy traditional Swedish Christmas activities, including a traditional “julbord” buffet. Along with a taste of local traditions, you will take a tour of the famous ICEHOTEL and get a chance to see the northern lights on a dog sled ride. You’ll also have free time in the town of Kiruna to relax or enjoy some optional activities such as visiting a reindeer farm. 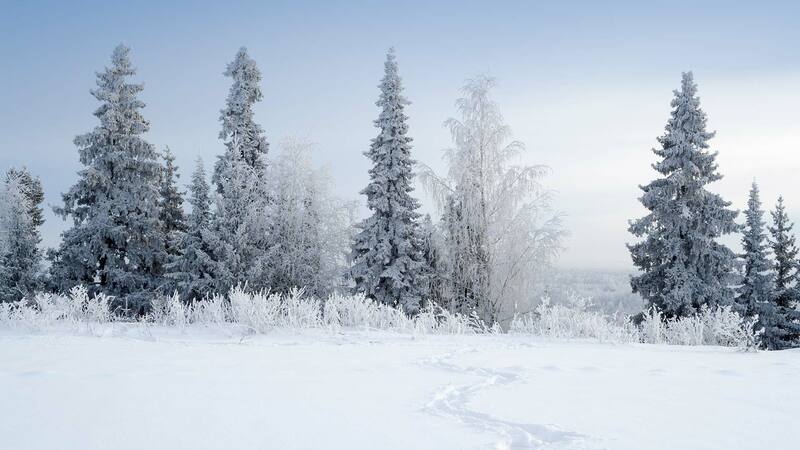 Arrive at Kiruna Airport where you will be met by a driver and transferred to your hotel in Kiruna. After resting up a bit, spend some free time exploring the town. As dusk settles, bundle up for a thrilling dog sled excursion into the wild to experience Lapland’s magical northern lights. 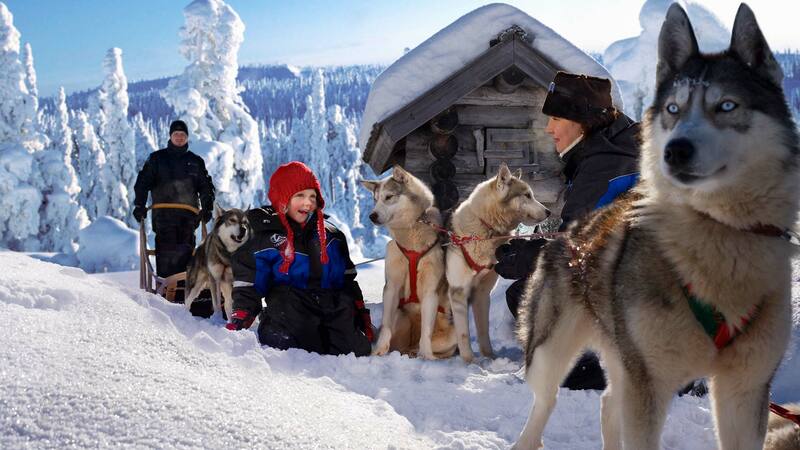 Enjoy the ride as you sit together with your family on one big sled driven by an expert guide and pulled by about a dozen energetic huskies. Afterwards, warm up with a hot beverage and a snack in a wooden hut around a fireplace. Later your guide will return you to town. • Each dog sled seats 4-5 people. The theme today is Christmas, so the first thing to do is to find a tree to decorate! After a comfortable car ride to the woods, your guide will take you on a snowmobile-sled ride to find the right evergreen. Later you’ll get to bake gingerbread cookies and experience more Swedish Christmas traditions. The highlight of the day is a visit to Santa at his secret forest cabin, where well-behaved children will receive small gifts and everyone will get to enjoy a traditional Swedish “Julbord”, a hearty buffet with all the typical Christmas delicacies of this region. Enjoy the rest of the afternoon and evening at your leisure. Spend the rest of the day as you wish. 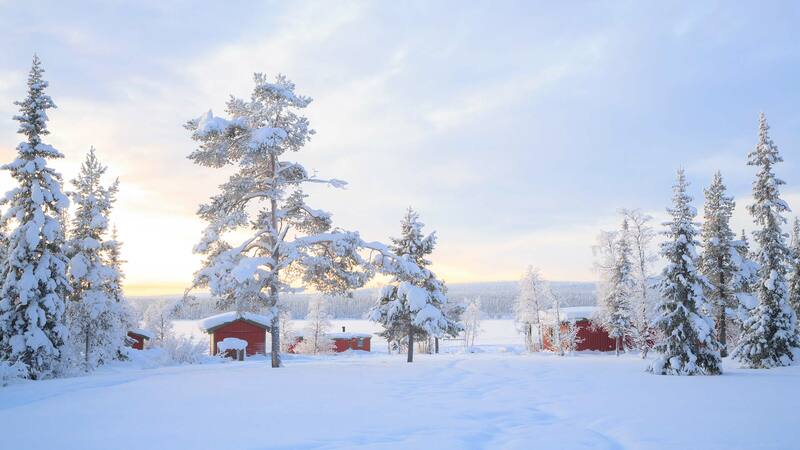 To make the most of your stay in Lapland, you can choose to join in a family-friendly activity, such as a visit to a Sami reindeer farm or a winter fun day (optional; not included). 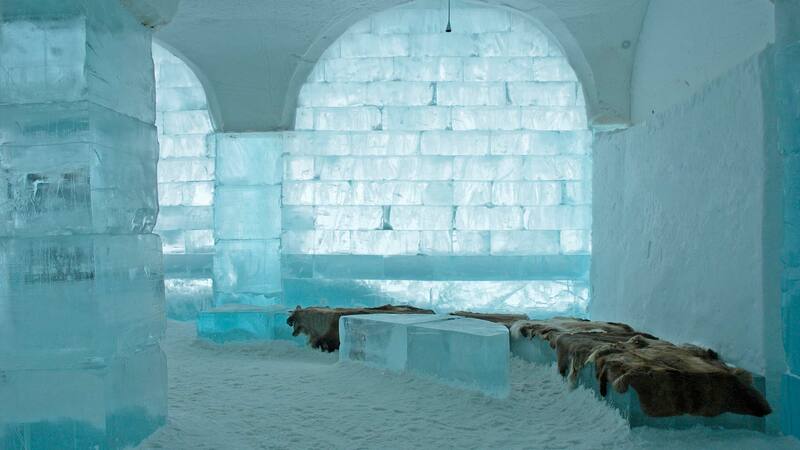 • Depending on how you choose to spend your free time today, your tour of the ICEHOTEL will start either around 11 AM or 3 PM. 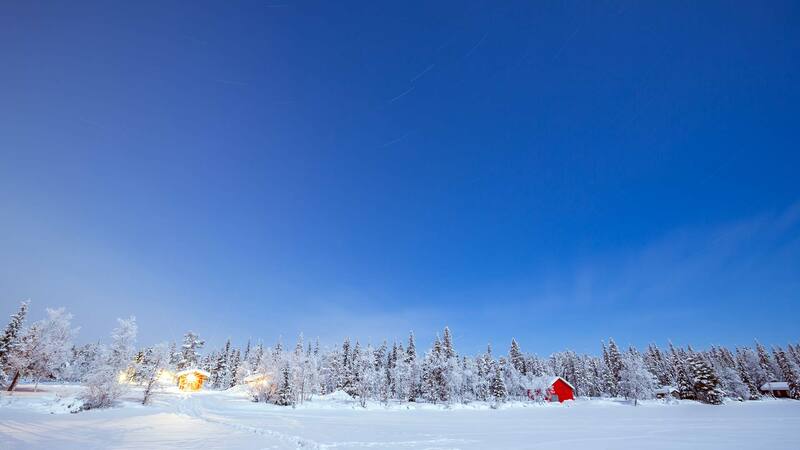 After this fun-filled winter break in Swedish Lapland you will be transferred back to Kiruna Airport for your departure flight. This was a very fun experience. Our family loved it! The authentic dog sleigh ride was tops! In general, our vacation packages in Lapland are child-friendly, but please note that many activities (e.g., reindeer tours) have an age limit of 4 years. This package includes our most child-friendly activities.